Bush Ross Shareholder and Managing Partner, Joseph A. Probasco, participated in a unique collaboration between the University of South Florida, the Florida-Israel Business Accelerator (FIBA) and Tel Aviv University. Together, the organizations signed a Memorandum of Understanding (MOU), designed to ensure the communication and coordination required for the three organizations to work together on research and development of technologies, analytically-based solutions and companies focused on major problems of aging. 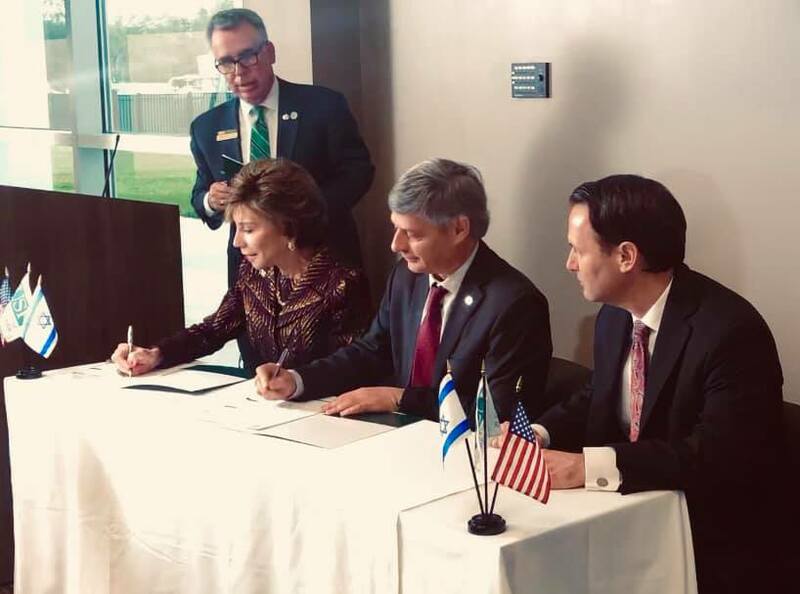 The MOU was signed during a ceremony that took place just after the USF Office of Corporate Partnership’s Corporate Forum on Aging and Technology. The program focused on innovations in four areas: aging in place, cardiovascular patient self-management, virtual reality in health and hearing, and speech technology. For more information, visit the USF Forum on Aging & Technology page.